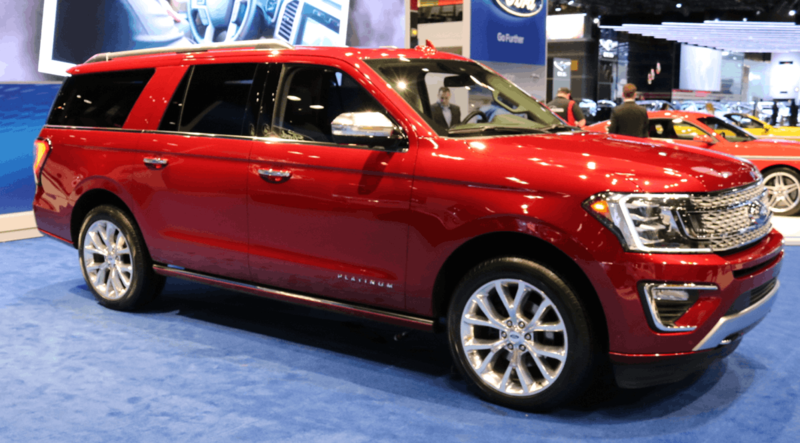 All the changes to all Ford cars and trucks for 2018 model year. Stay tuned and bookmark this article, as we will be updating it periodically with new information. 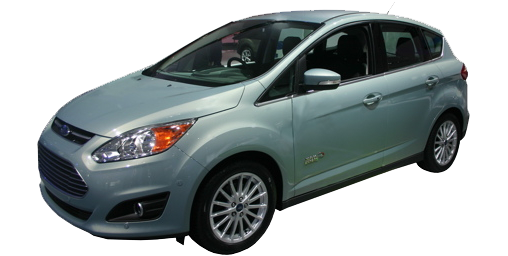 The Energi plug-in version is discontinued as this is the last year for the C-Max. Satellite radio is now extra cost. 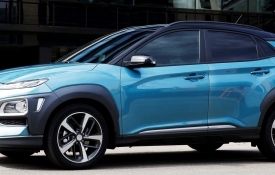 This new entry into the subcompact crossover sport utility has a confusing name, considering it isn't a hybrid. 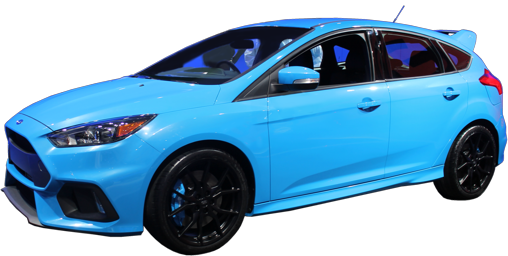 It does have a standard 1.0-liter 3-cylinder turbocharged engine with gas direct injection and 123 horsepower. 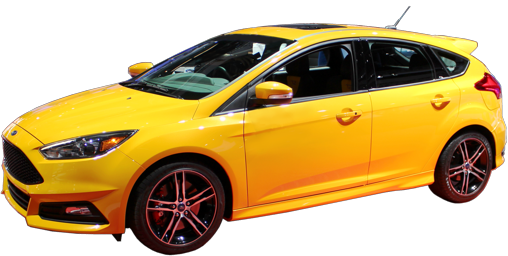 An optional 2.0-liter non-turbocharged 4-cylinder with 166 horsepower is optional. 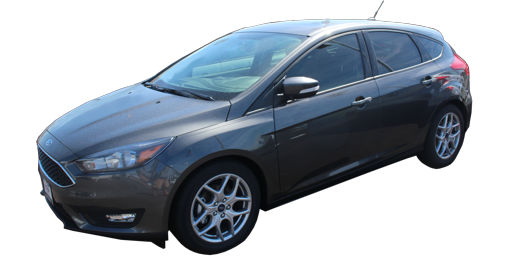 Both have 6-speed automatic transmissions and the 2.0 only comes with all-wheel-drive. Standard safety equipment include side-impact airbags for front and rear and curtain airbags for the front and rear as well as knee protection airbags for the driver and front passenger. Blind spot warning and rear cross-path warning are optional. In addition to Titanium and Sport, SEL now offers optional Adaptive Cruise Control, Front Collision Warning and Lane Keep Assist. 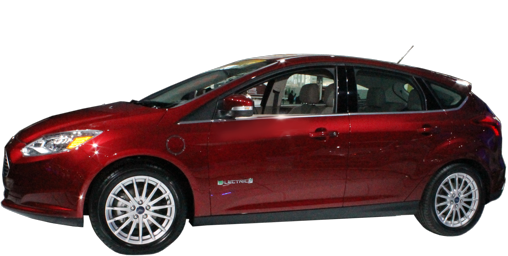 A new SEL trim level wedges in between SE and TItanium. It splits the difference between the two in price and equipment. 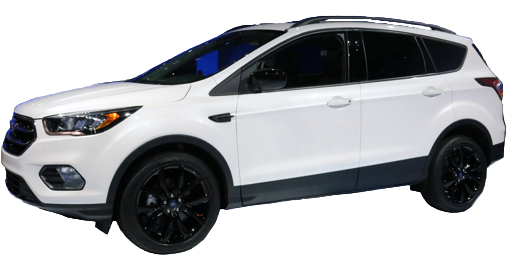 A compass and outside temperature gauge are now also standard on Escape S. SE models now get standard automatic up/down one-touch windows on all four doors, but S models lose their driver's up one-touch (driver's down still standard). 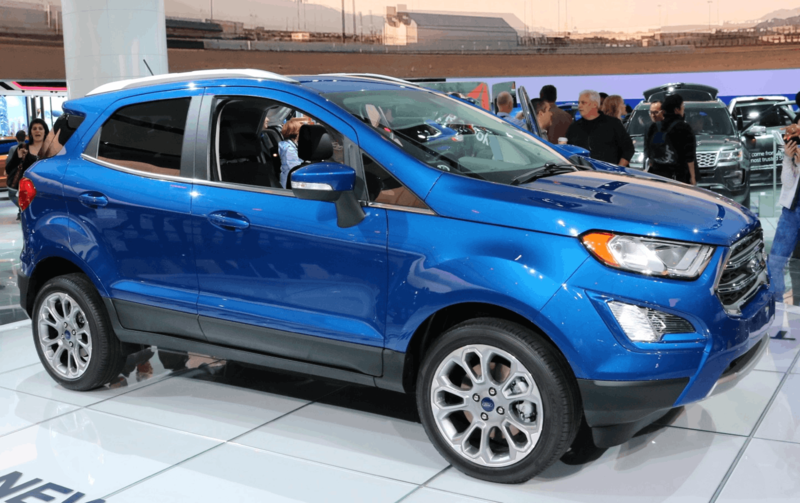 Forward Collision Warning, Adaptive Cruise Control, Lane-Keeping System, Driver Alert Monitor, Auto High Beams, and Rain sensitive wipers are now optional on SE and SEL. Heated steering wheel and Active Park Assist (automatically steers you into and out of parallel and perpendicular parking spots) are now standard on Titanium. 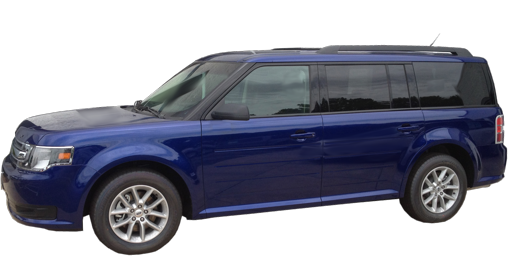 The Expedition gets a thorough redesign for 2018, including a new all-aluminum body (the frame is steel), a revamped 3.5-liter twin turbocharged V6, now good for 375 to 400 horsepower, 470 to 480 foot-pounds of torque, all driven through a ten-speed automatic (higher trim levels get a new rotoray shifter and paddle shifters on the steering wheel). 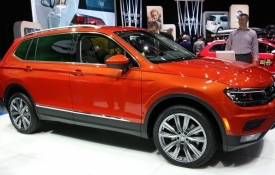 New available safety features include forward collision warning, automatic braking, lane departure warning and keeping, adaptive cruise control and driver attention alert that warns if the system thinks the driver is sleepy. The new design has weight down almost 150 pounds. 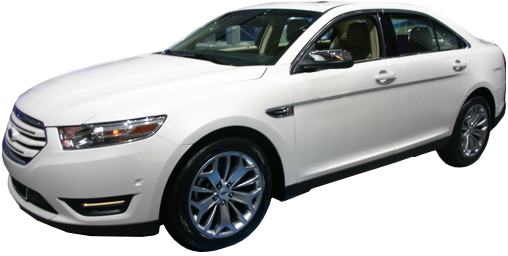 The short model has a longer wheelbase: 122.5 inches, and a roomier interior. The longer model is more similar in size to the model it replaces. The EX name has been replaced with Expedition Max. 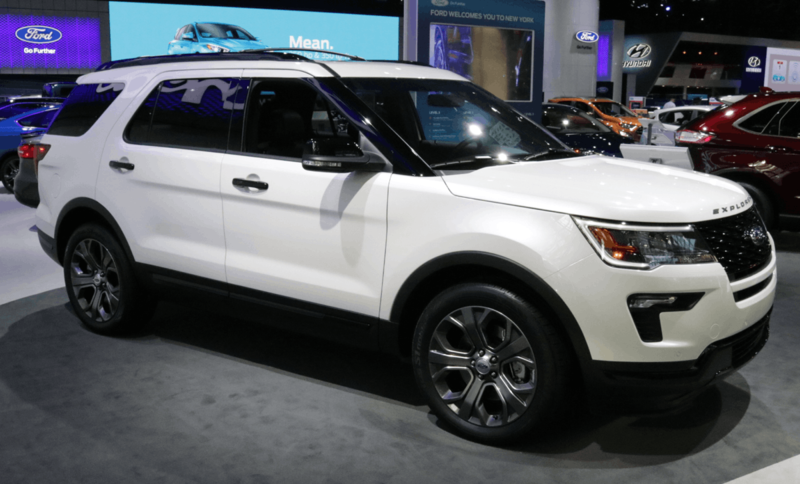 The Explorer gets a very early refresh. Heated side mirrors are now standard. The 1/2-ton pickup US best seller gets a refresh, a new base engine, start/stop engine technology across the board, and ten-speed automatics on every engine except the new base 3.3 V6. The newish 2.7 twin turbo V6 is the next in line and its retuned for more torque: 400 foot-pounds at 4500 RPM. The 5.0 naturally aspirated (no turbos) V8 also gets tweaked, up to 395 horsepower and 400 pound-feet of torque. The 3.5 turbo optional engine is unchanged, 375 horsepower/470 pound-feet or torque, but towing is now up to 13,200 pounds in SuperCrew. Horsepower and torque are still 450/510 in the Raptor. 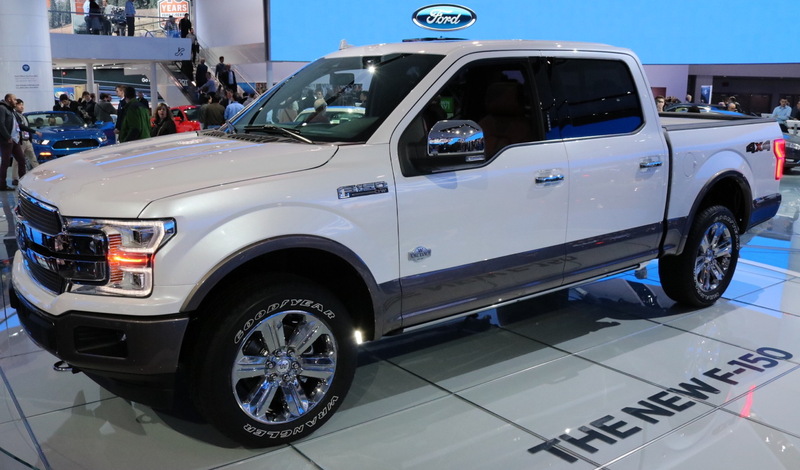 The biggest engine news comes next Spring: 3.0-liter turbocharged diesel V6 Power Stroke engine. Backup cameria is now standard on all models, and it includes "Dynamic Hitch Assist," which helps alighn the trailer hitch to the trailer. In other safety news, pre-collision assist is now added when you order collision warning and the brakes withh smash themsaelves automatically if you are imminently approaching a pedestrian or other obstacle. Backup cameria is now standard on all models, and it includes "Dynamic Hitch Assist," which helps alighn the trailer hitch to the trailer. 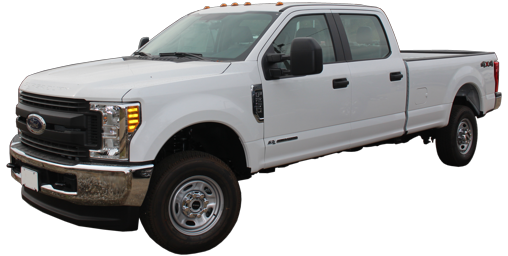 The optional Power Stroke Diesel gains 10 horsepower and 10 pound-feet of torque for a total of 450 HP and 935 lbs-ft. @ 1800 RPM as the diesel power wars continue. Ford is ahead for the moment. Backup camera is now standard on all models. No changes except an electric parking brake. Range is now 115 miles, a nice improvement. Power driver's seat, heated seats, mirrors and steering wheel are now standard. The lever-type parking brake has been replaced with an electronic one, a move which may upset drivers that use the E-brake to help kick the back around. These changes don't come cheap: the RS now costs almost $42,000. Same electric-assist parking brake as the RS. Rear seat a/c vents in the back of the center console are now standard on all Hybrid trims; previously only SE and higher. 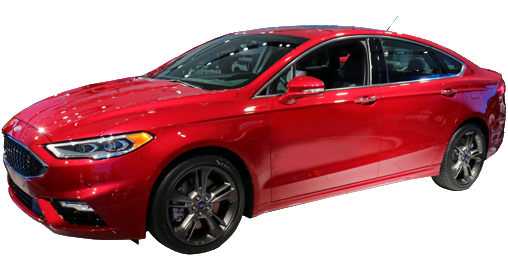 The V6 is discontinued as the EcoBoost 2.3 4-cylinder becomes the new standard engine and gains more torque: 350 pound-feet. 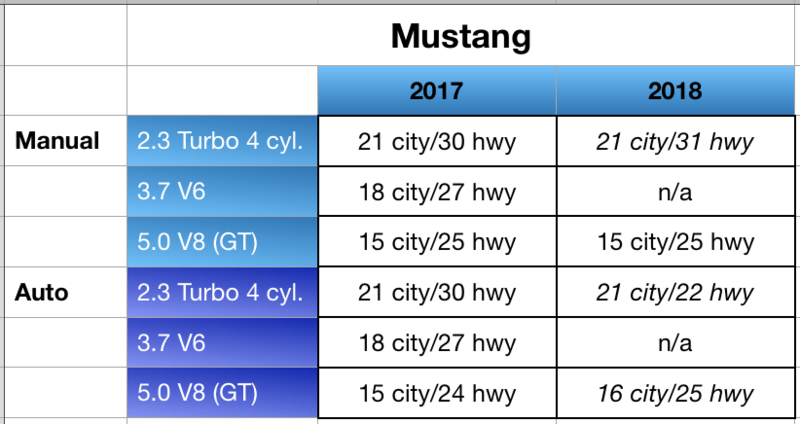 The 5.0 V8 in the Mustang GT gains 25 more horsepower for a total of 460 (just enough to squeeze past the Camaro SS) and 20 pound-feet more torque for 420. Other significant powertrain differences: a ten-speed automatic with quicker shifts replaces the old 6-speed. A six-speed manual is still standard. A new tuneable exhaust is available on the GT, alonging you to go from whisper to roar. 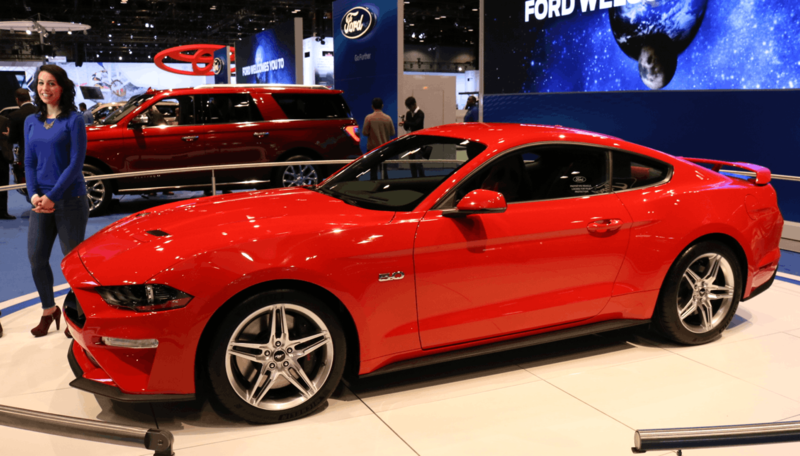 All of us who hear throaty Mustangs wailing around town constantly will hope for a high take-rate on that option, and that it defaults to whisper. 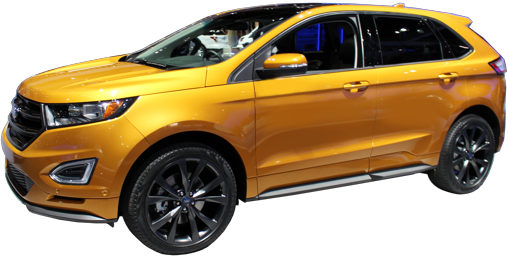 New safety features include front collision warning and automatic braking, lane depature warning, adaptive cruise control, and a driver alertness monitor. 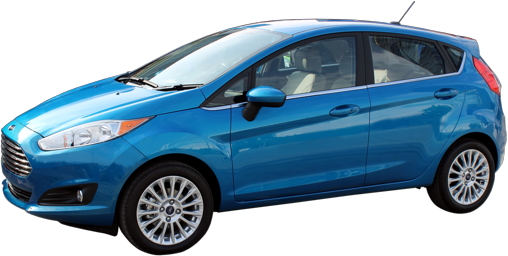 The 2.0 EcoBoost 4-cylinder turbocharged engine has been discontinued due to lack of poluarity, another victim of low gasoline prices. Otherwise, unchanged. 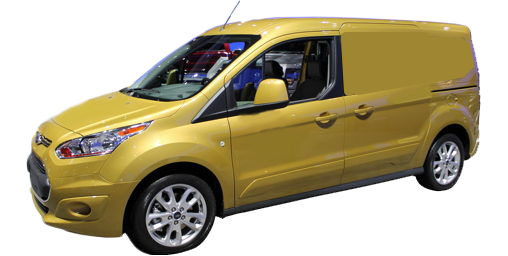 The full-size vans get a dually (dual rear wheel) option for 2018, increasing their payload capacities significantly. Heated front seats now optional on XL (previously XLT, only). 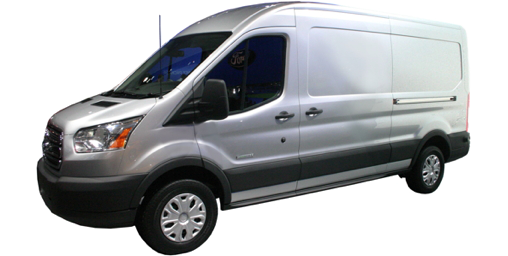 A heavy-duty cargo flooring option has been added along with an available heavy-duty rear scuff plate kit and rear-door scuff plate kit for Transit cargo van. A pedal-type parking brake can be ordered to replace the lever with an RV package or on cutaways and cargo vans.